Motorists could save as much as 20p per litre this month after Britain’s supermarkets announced a new wave of money saving fuel deals. 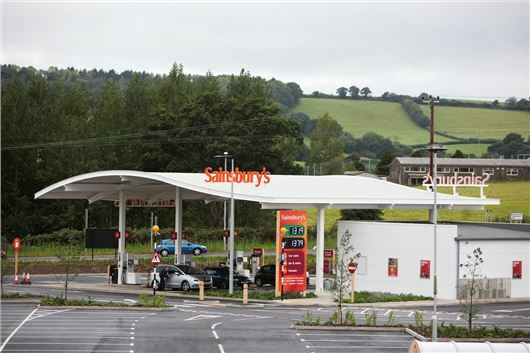 From 24 July, Sainsbury’s will drop 10p off a litre of fuel to all customers who spend £60 in store or online. The offer is valid from 24 to 30 July and each customer will get a voucher, which can be redeemed at one of Sainsbury’s 294 forecourts. Not to be outdone, a number of other chains have followed suit, with Morrisons offering savings of 6p per litre for shoppers who spend £40 with a Morrisons’ Miles card, registered before the 22 June. Tesco has cut 20p off a litre of fuel, when you spend £50 in store over the course of a month with a registered Clubcard. Fuel prices at Asda remain unchanged; although the supermarket points out that they are the only retailer to offer a national price cap on fuel, negating regional price variations.